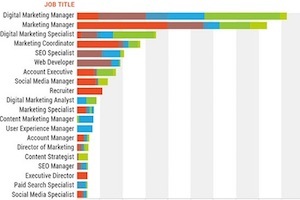 Which digital marketing skills and job titles are highly sought after? And how much do those in-demand positions pay, on average? The researchers then looked at keyword trends, which job titles appeared most frequently, and average salaries. LinkedIn search results were also used to identify keyword growth in user profiles. 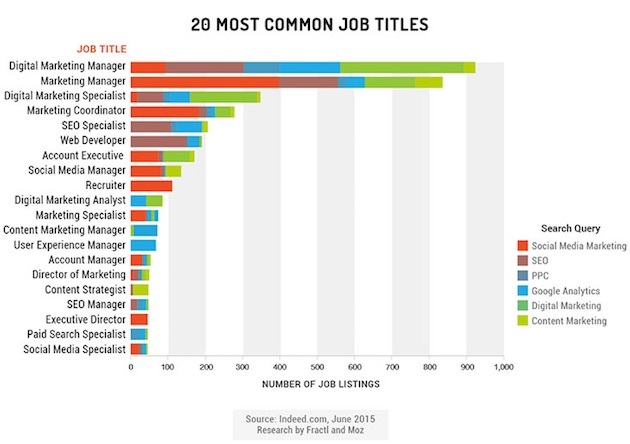 The most in-demand job titles identified by the analysis were digital marketing manager and marketing manager. Those roles may be especially hard to fill given the wide range of skills required: Companies seeking marketing managers tend to look for proficiency in several disciplines, including social media marketing, SEO, PPC, content marketing, Google Analytics, and digital marketing. 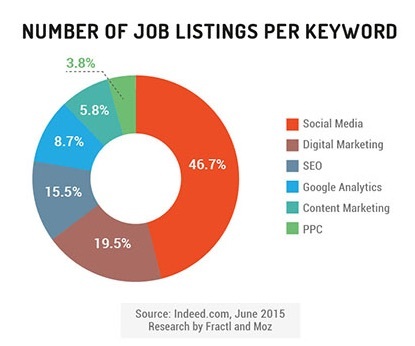 Other digital marketing job titles with a high volume of listings are digital marketing specialist, marketing coordinator, SEO specialist, Web developer, account executive, and social media manager. 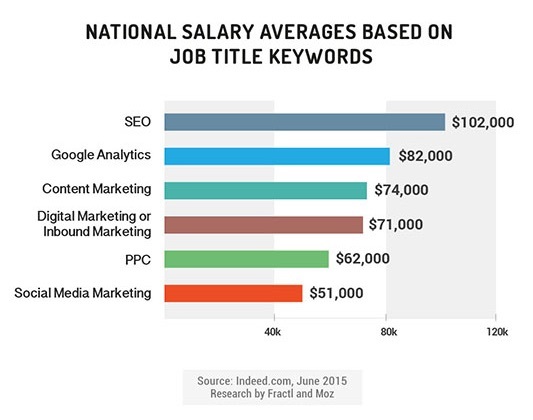 Job titles containing “SEO” have an average listed salary of $102,000, the highest of any of the digital marketing keywords examined.